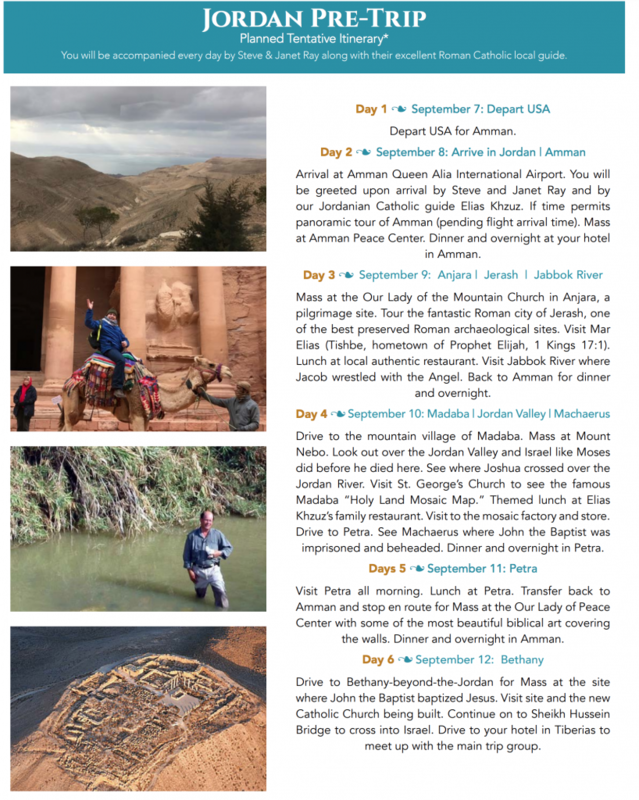 Jordan Day 4: Amazing Petra! Pictures can never portray the beauty and magnificence of the World Heritage Site and one of the Wonders of the World—PETRA! It is also a biblical city, not because it’s mentioned in the Bible, but because of its historical significance related possibly to several people and events in the Bible including Moses and St. Paul. The Nabatean kings of Petra, Aretas I and Aretas IV, are both mentioned in the Bible. After our stunning and amazing tour of Petra with camel rides and the lot, we drove back up north for Mass at one of my favorite churches called of the Marian Peace Center. Fr. Dan’s homily here. The biblical paintings of the Holy Land in this are fantastic. Authentic Jordanian dinner called “Upside Down” at our guide Elias’ Restaurant.Dancing, oh my! Overnight in Madaba. 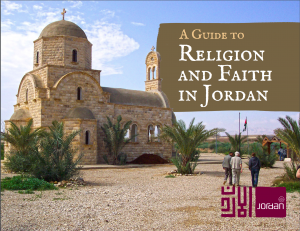 Today we visited the queen of the pilgrimage sites in Jordan and the 5th and final one. We drove down from the mountains of Amman and Madaba to the lowest place on the face of the earth which is the Jordan Valley. It is 1,250 feet below sea level. We arrived at the Jordan River and celebtated Mass among the reeds with even a muskrat joining us. You can hear/see Fr. Dan‘s homily here. We also renewed our baptismal vows at the River and I did a short talk entitled “Are You Born Again?“ we toured the authentic sign of Jesus‘s baptism and the archaeological site surrounding it. We also saw the spot where Elijah was taken I’ve been to heaven. We had a nice bag lunch as we drove an hour and a half north along the Jordan River in Jordan to the Sheikh Hussein Crossing into Israel. After crossing into Israel we arrived at our Ron Beach Hotel and settled in and enjoyed the afternoon. Some people swim in the sea of Galilee and others just sat along the shore reading the Gospels and enjoying some down time to rest. Others took a well-deserved nap. Our Israel-only Group joined us later in the evening (separate video). Watch the full length video of this pilgrimage below or download it here. Footprints of God Jordan Pilgrimage February 2019 from Steve Ray on Vimeo.